I was sitting with the kids at the salon while my wife got her hair cut, rifling through the October National Geographic looking for pictures of wildlife or mummies when I stumbled across this William Albert Allard color photograph that took my breath away. 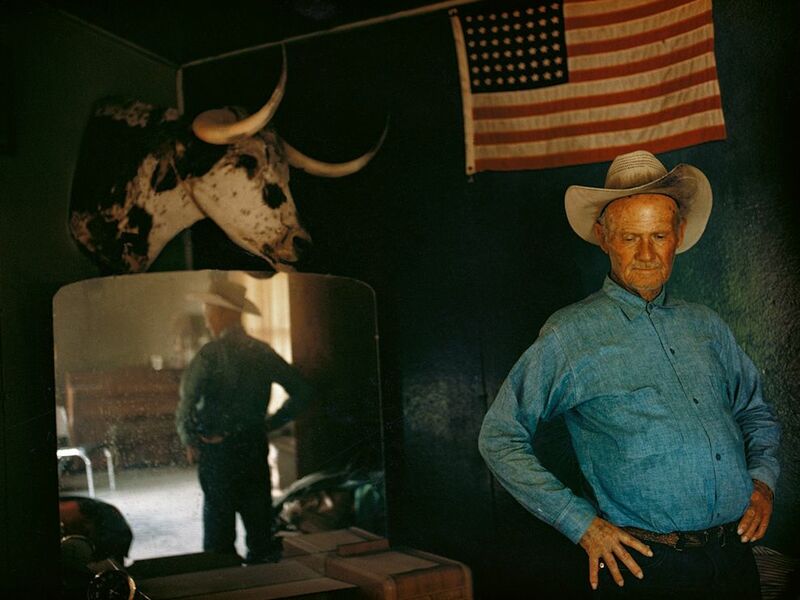 "Henry Gray, Arizona, 1970," it was called. Then it said: "Henry ran cattle for 50 years on the Organ Pipe Cactus National Monument desert country. He was 72. The government wanted his cattle off the land. As we moved about the house, Henry paused, lost in his thoughts, behind him a 48-star flag." I need to subscribe to National Geographic again.